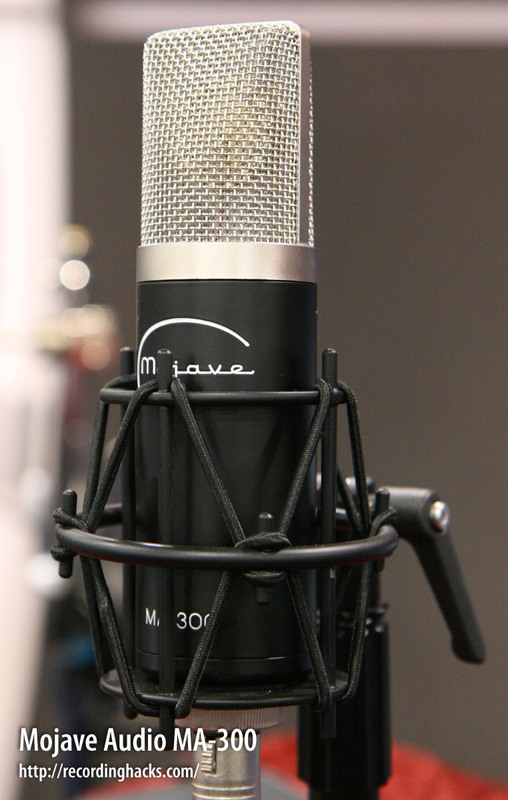 The MA-300 is a multipattern tube condenser — essentially, a multipattern version of the MA-200. The two mics share a capsule, body, and basic amplifier circuit design. I wanted it to sound as close to the MA-200 as I could get. The capsule is a Chinese-made K67-type. The dual diaphragms measure 25mm in diameter and are made of 3-micron Mylar, sputtered with gold. The capsule is center-terminated, has dual backplates, and a rising frequency response (as is characteristic of K67 capsules). The plate-loaded tube amplifier circuit uses a subminiature 5840 military-spec vacuum tube. The output transformer is from Jensen. The mic body and grille are identical to the MA-200. The only external physical differences between these mics are the model name on the body, and the Cardioid symbol on the headbasket ring of the MA-200. The headbasket of both mics slopes in at the top of the grille, to reduce the opportunity for standing waves that could cause undesirable coloration. The MA-300 has a -15dB pad. The MA-300 has a high-pass filter. 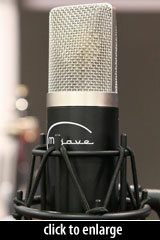 The MA-300 was introduced at the AES show in San Francisco in November, 2010. The mic ships with its dual-voltage (115V/230V, 50/60Hz)power supply, a 16-foot 7-pin cable, an elastic shockmount, and an aluminum flight case.